Here’s a sermon I preached at St Barney’s in Sydney which is a kind of taster for my book Enjoying God. 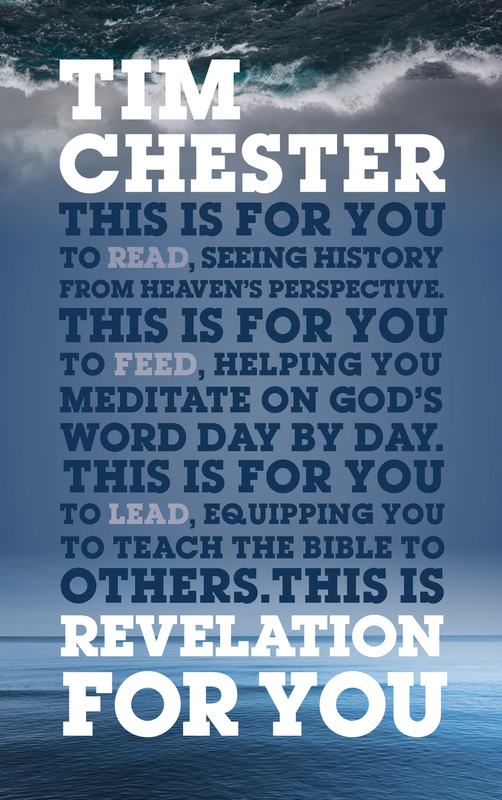 Revelation For You by Tim Chester is available now. This is article first appeared on The Good Book Company website. I’m no longer producing an annual version of my three-year Bible reading plan. But here’s the complete three year plan and here it is in Word so you can create your own versions of it. If you don’t know what I’m talking about then you can find out more here. My latest book The Beauty of the Cross is published today by The Good Book Company. It’s another Lent book, following the success of last year’s The Glory of the Cross. Both books are a series of short daily readings, each ending with a short meditation or prayer, which are designed to be used through Lent and Holy Week (though they can be read at any time of year). The Beauty of the Cross is based on Isaiah 53, going deep into this famous description of Christ’s death, but also spread out into the rest of Isaiah. This is a book to savour! Tim Chester has done an exquisite job in walking us gently through the richness of Isaiah’s vision of Jesus Christ, the Servant of the Lord, as he walks to (and through) his death in our place. Beautifully paced, theologically rich and deeply rooted in the real world—take it, read it slowly, and drink in its Christ-saturated truth! Tim brings readers right into the right light of Lent. Christ the Lord. Like the old hymn, Chester’s meditations and expositions from Isaiah invite you to turn your eyes upon Jesus, to look fully at the face of the suffering servant, and see how the things of earth grow dim in the divine wattage of Christ’s glory and grace. The Beauty of the Cross is a wonderful resource for meaningful reflection on our Lord’s finished work at Calvary. 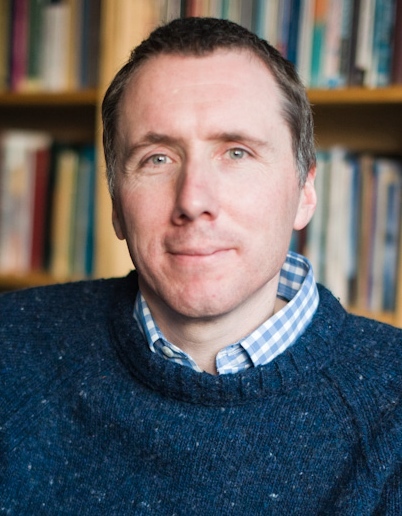 Tim Chester does a fine job of focusing on rich texts in Isaiah 52-53 and then leads the reader to pray, meditate and praise our Great God for his perfect plan of redemption. Poignant quotes from church fathers and others as well as personal illustrations are value-added to this well-organized devotional. It’s a treasure! The Beauty of the Cross will be a great addition to any believer’s library. The cross of Jesus is the centre of the Christian faith. None of us thrive when we drift far from the foot of the cross. It is there that we discover that God is not like the world thinks he is, that our only hope does not lie in ourselves, and that the hideous instrument of torture, the cross, is actually profoundly beautiful. 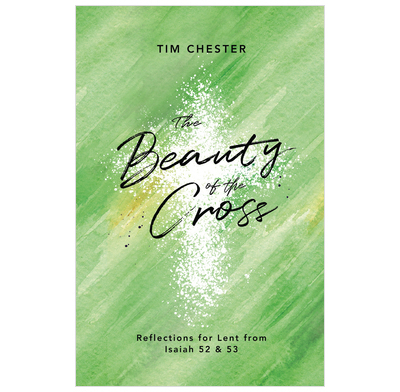 Tim Chester’s book, “The Beauty of the Cross”, will be a great companion and guide as you meditate on the cross of Jesus.